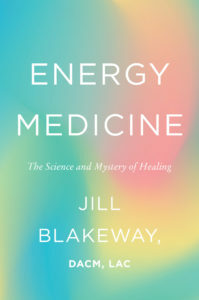 In Energy Medicine, Jill invites us on her global journey to better understand, apply, and explain this powerful healing force. Moving from her own clinic to the halls of acadamia, she talks to top healers, researchers, and practitioners—from the Stanford and Princeton professors researching the physics behind energy medicine and healing; to a Chinese Qi Gong master who manifests healing herbs directly from her palm; to a team of skeptical scientists who use “hands on” healing to repeatedly cure mammary cancer in mice. She also tells the story of how she discovered energy medicine and became one of the most sought-after healers in the world. Fertility medicine today is all about aggressive surgical, chemical, and technological intervention, but Jill (and co-author Sami David, M.D., a reproductive endocrinologist) offer a better way in Making Babies, drawing on the best of both Eastern and Western medicine. By identifying your “fertility type,” inspired by the classical patterns of Chinese Medicine, you can focus in on the strategies most helpful in your particular situation, and avoid the things that may be causing you problems. Those strategies include: choosing fertility-promoting foods; properly predicting the best time to conceive (hint: the answer is not 14 days after your last period began); accurately pinpointing the cause of your fertility problems; making specific and sometimes surprising lifestyle choices, like exercising less; taking cough medicine; decreasing doses of fertility drugs; and getting acupuncture along with IVF. The book concludes with an easy three-month program designed to get your body in optimal shape to conceive. Think of it as “fertility book camp,” only without the scary drill sergeant. Some people will need additional support from a health care professional, whether conventional or complementary or both, but will greatly increase their odds of success by following the Making Babies plan. For many women, however, these simple steps will be all they need to conceive. To find out more visit Making Babies. Jill Blakeway, LAc, coauthor of Making Babies, makes regular appearances on television (The Early Show, Fox News, CNN) and radio (Sirius, Martha Stewart). Founder of New York’s Yinova center, she is a licensed and board-certified acupuncturist, clinical herbalist, author, and speaker. She lives with her husband in New York City and upstate New York.